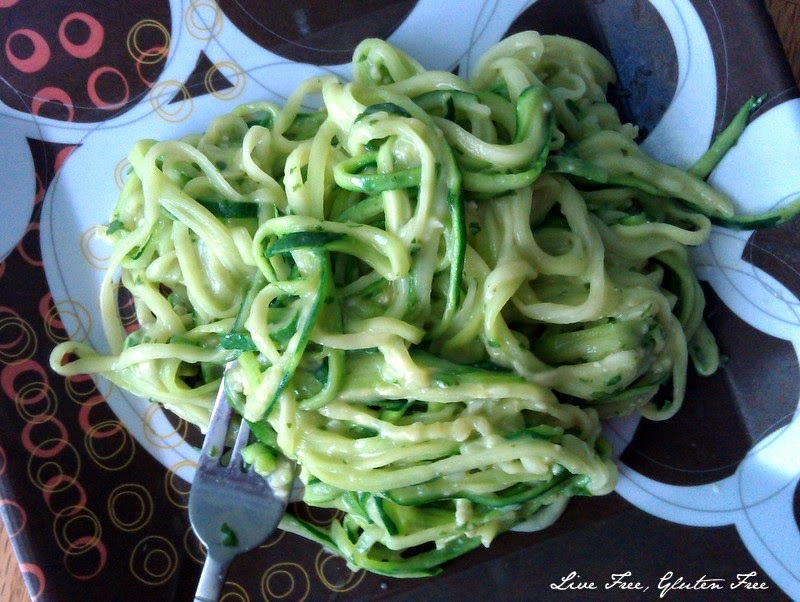 Creamy Pesto Zoodles and A Veggetti Review and Giveaway! Spiralized veggies seem to be all the craze lately, and I love it. And with all the craze going on, I got the opportunity to try out the Veggetti®. It's compact and really incredibly easy to use. It can easily be stored with my small kitchen utensils when not in use and it's dishwasher safe. It fits perfectly for what I need. I love it! By using zucchini, squash, carrots, cucumbers, and potatoes, the Veggetti® creates thick or thin pasta with significantly less calories and carbs than traditional noodles. 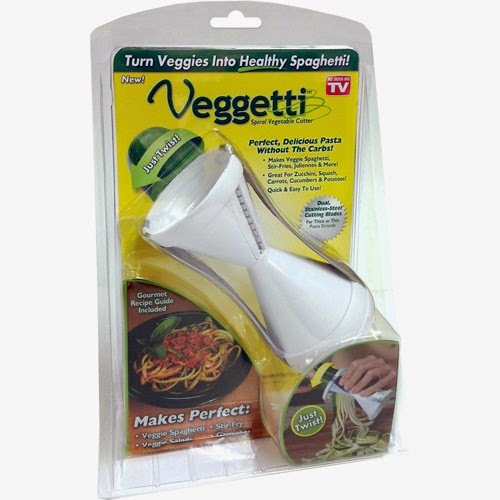 If you would like to learn more or get a Veggetti® of your own go to the Veggetti® website: www.getveggetti.com. So, I thought I'd share one of the ways I have used my Veggetti® so far. With this wonderful summer recipe. And I thought I would also give you all the chance to win a Veggetti® plus a $25 dollar visa gift card to go along with it! All you need to do is leave a comment and tell me how you would use the Veggetti® in your house, include your email address so I can get hold of you if you are the winner. The giveaway will end on July 31st at 11:59pm. In a blender or food processor, combine everything except the zucchini and blend until smooth. To create zucchini noodles, simply twist the zucchini through the Veggetti, cut the noodles in half, or smaller depending on how long you like your noodles. Then blanch the noodles for a couple of minutes or until desired doneness is reached. Combine the sauce and the noodles and serve. *The Veggetti, gift card, information, and additional gift pack have been provided by Ontel. 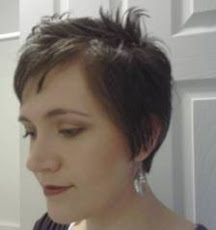 This post was shared on Gluten-Free & DIY Tuesday, Gluten Free Wednesday, Allergy Free Wednesday, Waste Not Want Not Wednesday, Gluten Free Friday, and Gluten Free and Natural Thursday.